Welcome back for another coffee chat, friends. I'm feeling a bit sheepish to realize it has been more than six weeks since our last chat. Sorry about that, my friends. May was a bit of a doozy for our family, but we are settling into slower summer rhythm now, so let's see if we can't see this thing through to the end over the next couple weeks, shall we? If you are new to this series, you can find the index of posts so far here. The last two installments have specifically broken down how I wrap my mind around what I find on AmblesideOnline's Year One curriculum page – specifically reading, phonics and math here and the booklist here. Today I want to tackle the remaining subjects – those things you see listed there under "Weekly Practice" – Art, Music, Handicrafts, Singing – hymns and folksongs, Nature Study, artist study, and composer study. I will be honest and admit that while we've been fairly consistent about including these things in our days, I have succumbed at times to the temptation to let the more 'academic' studies take the priority. I'm a checklist person, and I get a little stressed out when we aren't checking things off as quickly as I'd like. I am more likely to say "oh well, I guess we'll save our handicrafts or picture study for another day" than to say "oh well, I guess the math lesson can wait" on days that aren't running according to schedule. Perhaps it's just as well that I got a little sidetracked there before I finished this series though, and that this post in particular did not get written before the AmblesideOnline Conference last month, because my main takeaway point from that Conference was the need to keep these subjects a high-priority in our schedule because they are necessary and needed (there is even brain research to back this up, apparently). This was most emphasized in Wendi's talk on "The Uncommon Core", but the thread ran loud and clear through almost all of the talks. 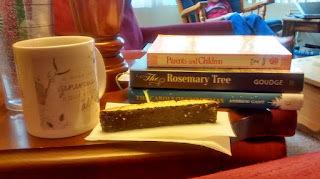 I came home with a renewed commitment to including these lovely things as a high priority in our day, and relaxing a little bit about checking everything off my academic-work lists. To those of you just starting out – it is worth your time to wrap your mind around these things and build the habits of including them from the beginning. If you need to start small, start here, and add the academics in later, not the other way around. The good news is that these can all be very, very simple to include – and they also lend themselves very well to being done as a group so you can combine all your children regardless of what "Years" they are following for their reading list. AmblesideOnline provides suggestions for what to study with lots of links to various resources and articles – scroll down to "subject resources" on the main curriculum page. My hands down favorite post on approaching these subjects is Jeanne's post on 'Fitting in the Nice Bits'. Click on over and read it to see just how simple these things can be. Jump in and try them! You'll be surprised at the joy and peace that they might bring to your homeschool day. I love Jeanne's suggestions about this, too, and often refer people to that post. Katie did a great job presenting Wendi's plenary, too. I must say I am partial to the phrase "Uncommon Core" and love the analogy that she gave of the arts being a leavening that makes everything else effective. We've been prioritizing these elements post-conference as well and it really is a lovely thing.